Just Remodeled, New Beautiful Luxury Vinyl Plank Flooring and New Carpeting, New Interior Paint, Immaculately Clean, Shows Like A Model Home. Master Bedroom Has Large Walk In Closet and 3/4 Bath. Large Covered Front Porch. Gas Fireplace. 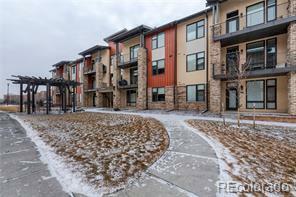 Great Central Fort Collins Location, Close To Amenities. Unfinished Basement. Clothes Washer and Dryer Included. Detached Garage. HOA Includes Outdoor Pool and Club House.